How do you overcome discouragement when you run into one dead end after another? If you’ve ever house sat or been volunteered to water your friend’s plants or feed her cat while she was away on vacation, you know how important the keys are. After you’ve pawed under the mat or turned over the flower pot and come up empty, you figure she forgot to put the key out. The thought of shriveled ferns and a dried out feline drives you to hit the panic button. You dial your friend’s number. After exchanging a few pleasantries, you confess you can’t to find the keys. You’re so sorry, but could the keys be somewhere else? O, yeah. Your friend chuckles. I forgot to tell you. The keys are hanging on a nail, right behind the downspout. Near the back door. Of course, I’m not simply talking about the keys to a house. I’m talking about the keys to God’s plans for you. You’ve prayed, read your Bible, and done everything you could possibly think of — to the best of your strengths and even to the detriment of your weaknesses. — that big problem you’ve been trying to solve, failure instead of success. I was processing last week’s stack of mail when I pulled it out. It was an official looking envelope from the State of California. It’s the kind of letter you open right away. Reminder: Your business state taxes are due by the end of the month. I started a business and became a statistic. In less than two years, I closed up shop and liquidated all inventory. It was a shock to me and our bank account because it was the last thing I expected. I crunched the numbers and accepted the risk. I became a entrepreneur because I believed God was in it 100%. My needs were real. I was a new mom who needed a job with flexible hours and a greater desire to stay home with baby. My priorities were godly. Motherhood and family. Slam dunk, right? My prayers were answered. I prayed and sought God’s guidance for a year, as I did the market research, built a business plan, and prototype. At every intersection along the process, I saw God confirm prayers. My due diligence. I sought wise counsel and applied my expertise from a career of releasing products for high tech corporations. Business opened and sales looked promising. I was hopefully optimistic. Why would He lead me down a path that He knew would not only be fruitless, but a loss? The answers to this question merits a book, which I’d love to write one day. But, I’m telling you this story because I sit here in the red years later, with a business closed and the door to a lifelong passion opened: my writing. To market my product, I created a blog. I have always looked for an opportunity to pursue writing. But it passed me by like the midnight train to Georgia. I faced one dead end after another. I gave up hope and resigned my writing life to an underground pursuit behind closed doors and a motley crew of notebooks. Then, my business died, along with the company blog. But, I didn’t want to stop writing. If I blogged for a product, why can’t I blog for purpose? What if I wrote about all this stuff in my journals and published it online? Hopefully, I can encourage someone. Maybe two. I would’ve never guessed in a thousand years I’d be here to celebrate the birth of Faith Barista Blog with you today. My disbelief didn’t change God’s plans for me. Do you have a plan for your life that hasn’t gone the way you expected? Are you confused to why God’s led you down one path and not another? We can try to engineer the perfect solution, with sincerity and by faith. But there are doors that we cannot open. 1. God has the keys to your life and purpose. 2. God hasn’t forgotten to tell you where they are and you aren’t left out in the cold. 3. In His time and wisdom, God will open the doors of opportunity for you. No matter what. No hardship or personal failure can keep that door from opening. No matter how late you think it is. Stay faithful in unchanging situations, while God aligns the needed sequence of events with your heart. And if it is time to make changes, set them in motion. Nothing is wasted. Everything done by faith that is unseen is visible and useful to God. It may seem door after door is shutting closed in front of you, but God has his hand on the special ones reserved. Just for you. At the right time, you will walk through them, with a smile on your face and amazement in your eyes. who holds the key of David. Your thoughts on today’s post? Drop a comment and share. Because, as you know, I love to read each and every one of them. P.S. 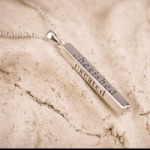 Don’t forget to drop an entry for my birthday giveaway — God’s Heart For You Necklace! Click Here. BTW, I haven’t forgotten about you, guys. I’ll have another giveaway that you can keep yourself very soon. Meanwhile, drop an entry for your wife, mom, sis, or girlfriend! so glad that god lead you on this path and that even though it’s sure not what you would have thought…i’m glad you’re writing and putting it out there because you are encouraging many! This would pretty much describe the biggest question on my heart since I got back from Aberdeen with my Master of Letters in the Novel. Especially when I started a job in Accounting that I appear to be really good at. I’m glad you write too. I know I find the words I can’t express myself here on your posts. .-= Kristine´s last blog ..Because They Love Me =-. Thanks, Kristine. God has brought you so much. You can be encouraged by how far you’ve followed. He will work it all out. I just found you online through (in)courage and enjoy your site and reflections. Happy one year blog birthday! 🙂 I am also learning how to follow God’s call through writing/blogging and would be interested to hear how you’ve built your blog this past year. It seems that this is your new business now? 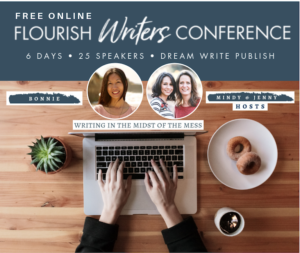 I am not headed in that direction per se, but would appreciate hearing how you’ve networked with other bloggers or online sources to encourage readers and connections to your site. This fall, I’d like to try to write more for both my personal blog and a ministry blog I am building with some others around evangelical justice issues. Any advice? Connections we should check out? Most beneficial ways to market/connect with key hubs for ministry online? Thanks, Liz! Blogging is rewarding, but it’s important to remember why you started and who you’re writing for. Just take the step you see in front of you, and you’ll discover more along the way, and naturally connect with on the things you enjoy and care about. Congratulations on your one-year blogging anniversary. It’s been a pleasure to read along with you as time has allowed. .-= Maureen (Mo)´s last blog ..Monday Muse- Alaskas State Writer Laureate =-. Great connecting with you, my artiste Mo! Bonnie – first of all, congratulations on the first Birthday of Faith Barista!! I like the sound of that even more than anniversary. Maybe because it can now include cake and ice cream. Thank you for pouring your heart out in your writings. Your journey is so much like mine and your encouragement today is needed. I moved cross country almost 7 years ago for a job that ended after three years. I KNOW that I heard God’s call for us to move, but it sure hasn’t gone as planned. However, I have grown so much and learned so many (hard) lessons. Spiritually and physically I’ve blossomed since the move. Bless you as you move into your second year! Wow, Carol. 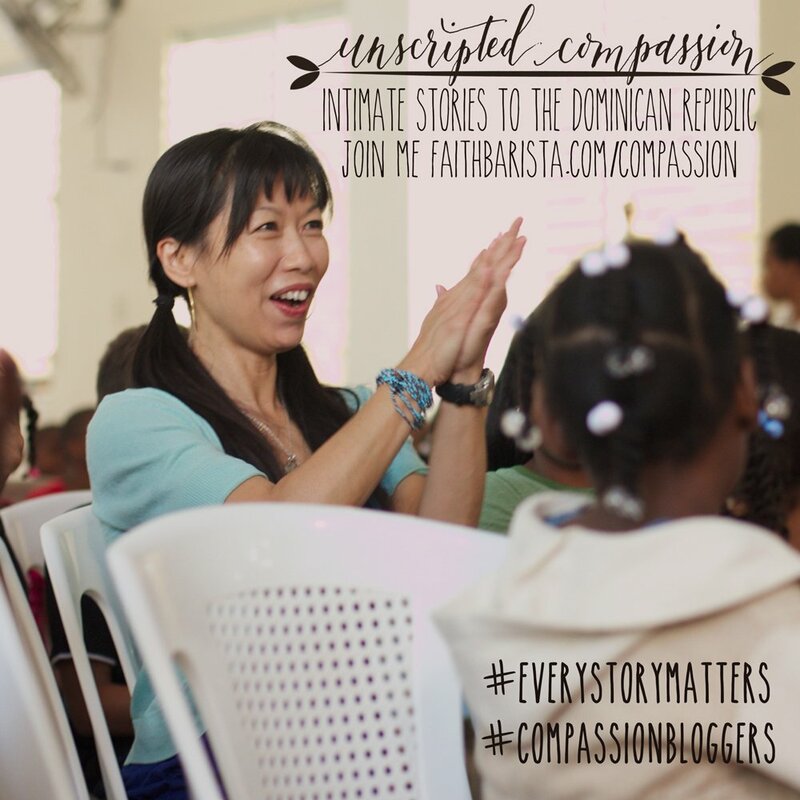 You’ve got a story to share and a testimony to give. That’s not something you just tell. You’ve lived through it and now it’s yours. Thanks for adding to the post. Bonnie, I know what you mean. My husband is a serial entrepreneur. He’s had some awesome successes and was named Entrepreneur of the Year for Arizona a number of years ago. However, with his latest venture he didn’t plan on this economy. Who did? And it greatly impacted us. I had ‘retired’ from my day job but found I had to help make the money again. And it was at a point where I thought the Lord was opening a different door for me. However, in the midst of all I’ve had to learn about technology and social media I’m so glad I’ve been able to blog on the side. Heart Choices isn’t a top blog or anything but it’s become my ministry and I love that. You do have a gift for writing but it’s hard to make an income doing that. There is a book publisher in Scottsdale, AZ named Terry Whalin. Here’s a link to his blog: http://terrywhalin.blogspot.com. He’s always so helpful. I know you have a book inside of you Bonnie! .-= Debbie´s last blog ..Praying the Names of God Husband =-. You know what I mean. You’re living it right now. You’re blessing so many on your blog. God will use this season in your life, once again, as He always has. …Thanks for the encouragement about the book. I am trusting God for that door to open. I would love to pour out my heart and ask prayers for a certain situation where there seems no possible answer unless God works a true miracle, but “in public” isn’t the place for it. Great verse to share. Kingfisher, I remembered you in prayer as I read it & pray someone can pray with you there in it. Oh, Bonnie! Thank you so much for posting this! I really needed this today. I’ve been feeling overwhelmed by circumstances and needed the reminder that God is working and our door WILL open when it’s time. Yes, it WILL, Jennifer. And yes, He is working in you. No doubt about it. Your post touched me today. Thank you. OMG Bonnie, you could be telling my story too. Wow. This is so powerful. I needed to hear this. I needed to see how you expressed it so well, as I feel so at a loss as to how to share it. You did it so perfectly. Where is God when all this is happening? I am trusting, but some days I wonder why it has all happened. Thanks for sharing this…I will trust! Yes, Father…that is what I want…a smile on my face and amazement in my eyes. .-= Mari Larkin´s last blog ..The Beauty in the Skies =-. God is in it with you, Mari! Thanks for the bday wishes! Happy Bloggy Birthday to beautiful you, one of the most courageous women I know! I’m so glad that you share your words and heart here. Just think, without your blog we might not have connected this side of heaven. Incredibly grateful that we have and praying year two of Faith Barista is full of blessings and dreams come true! .-= Holley Gerth´s last blog ..Youre loved as high as the sky =-. Thanks, Holley! God kept the keys to our friendship across the miles and at the right time, opened the door, to bless and encourage me. “Would anybody read it?” You bet! 🙂 Happy blog birthday! Only one year old? Wow, what an amazing blog already. .-= Belinda Burston´s last blog ..Heart to the Son =-. I can’t believe you’ve only been blogging here for a year. I also find it so hard to understand how you could think anything other than writing was what you should do. You have a gift and God has used you over this year to touch the hearts of so many with His truth and words. Thank you for courageously stepping out into what God had for you. You’re an inspiration to me and I have loved getting to know you. Looking forward to what year two of Faith Barista has to offer! .-= Melissa Brotherton´s last blog ..Not for the Faint of Heart =-. Thanks, Melissa! I’m so happy to connect with you as you’re in that season of faith and seeking. Amazing real story of faith — you! Life throws us in directions that we aren’t expecting. What we need to remember is that for God there is no suprises. This last year or so my life has changed dramaticaly and I think at times I am have given up if it wasn’t for my faith and my writing. Expressing myself in my blog has given me the freedom to relieve the pain in my heart and also share the joy. Your writing is inspiration, enjoy and embrace your blog anniversary as one of many sure to follow. Sara, I’m sure your writing reflects the heart and the authenticity you’ve shared here. Keep writing and may God bless your journey! Great to have you. This post really touched my heart tonight. I have seen Revelation 3:7 come true this year for my family. Thank you for being faithful to God and blessings to you! I’m so happy for you, Stephanie! Praise God! Nothing is wasted, indeed! So grateful we have a God that uses ALL things! “All” being an important, operative word. Amen, sister! Great post. Very encouraging. I love the verse at the end! Waiting! Trusting! Believing! .-= Christine´s last blog ..Lyrics to Seek You-Praise =-. Keep singing the melody God’s given you, Christine! Thank you so very much, Bonnie! 🙂 Have an incredible rest of the week! .-= Christine´s last blog ..Knee Deep In the River =-. It’s been awhile–this post really hit home. Last fall I was planning to return to college after 26 years, and I was 7 months in to a a blog I was feeling good about, writing, working on my photography, and my greeting card company, when boom! I was offered a job–it was only temporary (the Census), but it has lasted longer than I expected. It has certainly been a financial blessing, a distraction from some very heavy things I would have otherwise worried myself sick over, and a big boost for my confidence as I moved from clerk to two different levels of supervision after 18 years out of the work force (ie. I know God meant it for my blessing) . . . BUT . 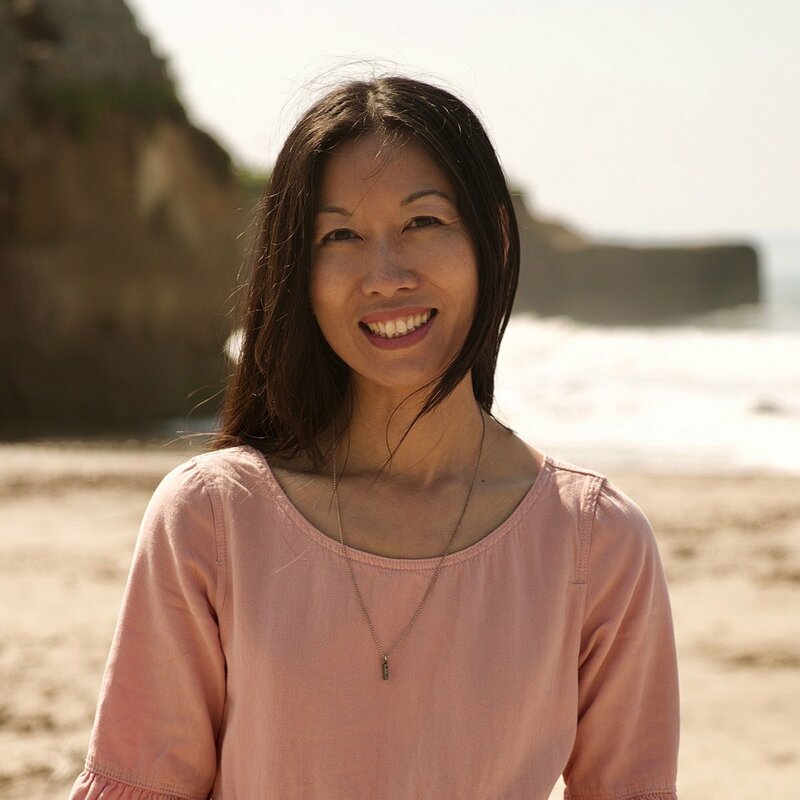 . . it also meant that my school plans and my beloved blog/writing/photography–things I KNOW God wanted me to do, put in my heart to do–came to a screeching halt while I worked weird hours and tried to keep my balance in a very stressful position. As this job heads toward its conclusion at the end of August, and I know financially I have to look for another job, my heart is really hurting over the “hope deferred” that is so hard to understand when there is no end in sight. Thank you so much for the VERY UPLIFTING reminders about God’s faithfulness even when, maybe especially when, I can’t see or figure out what’s going on. What you wrote felt like a very personal gift just to me, even though I know I was just one of MANY whose face you lifted today. Bless you Sister! .-= Shaunie Friday´s last blog ..To Emmaus and Back Again =-. THANK YOU, Shaunie for sharing such a powerful testimony, as you are in the thick of it. It shows you have faith to open up in the moment. I know you can’t see the end in sight, but it is there, dear friend. It is there. Keep holding onto Him because He’s got a grip on you. Your story is inspiring. What a powerful story Bonnie. God leads us down these paths because he wants us to learn to seek him and to rely on him and he needs to shape us according to his methods, not our own. Thankfully God’s balance sheet for your life is soaring into the black, and that’s what matters when all is said and done. Jesus does not promise us comfort, but he does promise to never leave or forsake us. Last year I had what I thought was a slam dunk book idea that had about 3-4 or reasons for certain success. And then I hit one unexpected wall after another that I never could have predicted. And yet, things are OK and I’m actually thankful that it didn’t click into place in the way I expected. In the process I’m learning that God has other things in store for me, and I need to remain open to his new directions. I shouldn’t be surprised that you have such a story to share, but I am never tired and utterly amazed how our Lord Jesus leads us, even when everything He takes us where it doesn’t make sense. Thank God He is who is is — and He’s led you exactly as He had. Bonnie, congrats on a year of blogging! You are such a blessing and encouragement. Keep up the great work and I’m glad too that road blocks and perceived dead ends have no bearing on His plans for our lives. Every moment is a teachable one. Thank you for the reminder. .-= jasonS´s last blog ..The Proper Care and Feeding of Your Ego =-. Many years… I’ll take that blessing! Thanks, Jason! Perfect post for me. I am kind of going through a bit of a transition in my life. Thinking of the statement…”What am I going to do with my life”…work related now that the kids are getting a bit older and all. May God bring the next step on your path, Kathy! 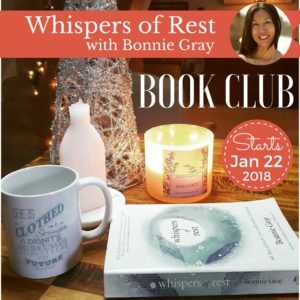 Thank you, Bonnie, for such an encouraging blog. I have similar experiences that I am hitting a dead end in my career and not knowing how to get out. I thank God for my stable job in the past 10+ years in the high-tech industry. But how many guys (yes, guys) would stay in the same company for such a long time in the Silicon Valley? No much I believe. My peers probably had changed jobs 4-5 times in the past decade. Whenever I ran into them, they would wonder why I stay there for that long. I had applied and interviewed for new jobs in the past years; however, I never received an offer. I started questioning myself if I am not competitive in this market any longer or whether the “longevity” of my current job had betrayed me and cast a shadow of “lacking achievement” on my career path. I am still searching and waiting for the next door to be opened by God. I don’t know what the next good thing He prepares for me. I have other plan on my mind like pursuing an MBA or finding a new job (again). All in all, I am grateful I had survived several rounds of re-org and lay-offs and see His protection over me. Congrats to Faith Barista on 1st anniversary….look forward to many good blogs in the years to come. Take the next step, as you feel led. But, you can be certain that God has you right where He wants you to be, Peter. You have been faithful to God, He has not forgotten you. What an amazing testimony of protection over the past 10 years. Unbelievable. I know your story will bless many who are visiting here. Thank you. Great post, Bonnie! It is hard to know sometimes what we are “supposed” to be doing. I just got back to posting to my blog yesterday after 7 weeks off, during which time I tried to figure out what my purpose might be, in part at least. Yesterday I just decided to quit thinking so hard and put some words down about what was going on for me. I’m not sure why I always tend to think I should be doing something other than what I actually AM doing in my life. Thanks for the post, and congratulations on your blog anniversary yesterday! .-= Julie Benner´s last blog ..the dip =-. “I just decided to quit thinking so hard and put some words down…” I like the sound of that. Sounds like faith to me! May you feel more and more free to apply it, knowing God’s got your back. I hope this encourages someone who is struggling. Sorry this was so long!! Barbara, thank you for sharing such real encouragement. Your heart is leaning on our Lord and He is using that heart, to intercede as well as fill it with His love for you. Not long at all. Just enough words to share what is on your heart. You should definitely write a book! .-= Fr. Michael´s last blog ..Lessons Learned from My First 10-Miler =-. Hi Bonnie, your postings are very moving and this one is no exception, it speaks so clearly to a season in my life now. Thanks for your encouragement! 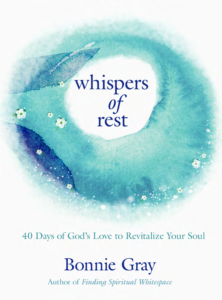 Bonnie, God gives you insights into every day things and has gifted you to share them in a way that speaks to my heart. Thank you for coming back to your keyboard and crafting post after post. Happy One Year Anniversary! Bonnie, God gave me a “detour dream,” too. I was working at at developing a small business by day while cultivating the skills I’d need to be a Christian speaker by night. The business was a good fit. I had the talent and creativity needed, but in the end…well, it came to an end. At the same time the business idea died, I was being affirmed as a new writer with promise. Now I’m writing and speaking. That’s not something I’d ever pursued back then. God knew that I didn’t see myself as a writer at all, so he seemed to give me a detour dream to move me along to where He has me now. “Nothing is wasted.” I agree wholeheartedly. God redeems all of it. He’s good like that. Mari, how exciting it is to see God open up doors of opportunity — “detour dream” — love that image. Amazing how He has lead you — now sharing His hope with others! This is so true and touched me. Thank you for writing this. I am looking for some encouragement and was very pleased to find this. I too thought that I was making the right decision in quitting my job and pursuing my MBA. Like you, I considered everything and thought that my purpose was to be good as I made the decision as a ‘leap of faith.’ Good because I thought I wasn’t glorifying God in my job anymore and that this is the next step he has called me to in fulfilling my purpose as a single person in the workplace by investing in myself. Long story short, I wasn’t able to get into MBA yet due to some financial constraints so I have to look for a job now and found myself in some dead end since I could not still find one. I thought that my latest credentials would work. After all, when this happened to me before, I had less credentials. But I was wrong. Back then, I was able to get into things not because of my credentials but because of one thing — God’s favor. That tipped the scale. Thank you for sharing your experience. I feel that doors have been closing enough for me but I have to make a decision of faith everyday to go towards the doors that God Himself will open for me. Keep it up! Hope to see more of your blog soon! .-= blessedbabe´s last blog ..The non-negotiables list to marrying =-. I was going through my old email address due to moving everything to my new email and came across this and how timely it is. There are times I have felt discouragement, be it about blogging and just reflections on choices I wish could have been different or never happen. Thank you to our Father for leading me to your blog again (been awhile dear friend since I’ve been dropping by to visit) and a timely return for something I needed to hear and remember. I have been crying for several hours tonight and on the phone with my mother. Feeling like my law degree, masters degree, and licensing in canada and the u.s. was wasteful. couldn’t get job where i wanted. feeling like i have a job (underpaid) and not a career and feeling like time running out and need to think of different career path. to boot single, no kids, and just very bitter at the world for “wasting” my time in law school and then this recession happening and ruining….all the plans i had. why did God allow this to happen to me??? if only i had skipped law school pursued an MBA instead i would be in the workforce long ago and hopefully have avoided the recession problems by having more seniority in the marketplace….or so goes the thought process in my head. I have intense momentary doubt and anger and self hatred for being a “failure” in not working in that dream job, but i know that i have to press on and come back to faith. i was on incourage.me looking for something to inspire me. came across this site and this blog couldn’t be more apt for me today. thank you.